Happy Holidays!!! It’s Christmas time on historic River Street! Join the Savannah Waterfront Association December 7th – 9th as they get into the holiday spirit with music, lights, Santa, decorations and holiday cheer! Grab some hot chocolate and visit the regional arts & crafts exhibitors with unique local holiday gifts and stocking stuffers. Choral performances, dance groups and live entertainment will take place on the Rousakis Plaza Stage all weekend long. Festivities kick off Friday afternoon with performances by the Savannah Arts Academy Skylarks, Windsor Forest High School Concert Band and the So Unique Dance Company. Train Wrecks front man Jason Bible will keep things rolling with his soulful country sound on the Rousakis Stage Friday night. You won’t want to miss the fantastic First Friday Fireworks lighting up the sky at 9:30PM proudly sponsored by Bayou Café & Ambos Seafood. Santa Claus will be taking photos with families and children on Saturday 11AM-3PM and Sunday 12- 4PM in Rousakis Plaza. Kids young and old can also create keepsake ornaments in the Waterfront Kidz Zone while enjoying the shopping and entertainment along River Street. 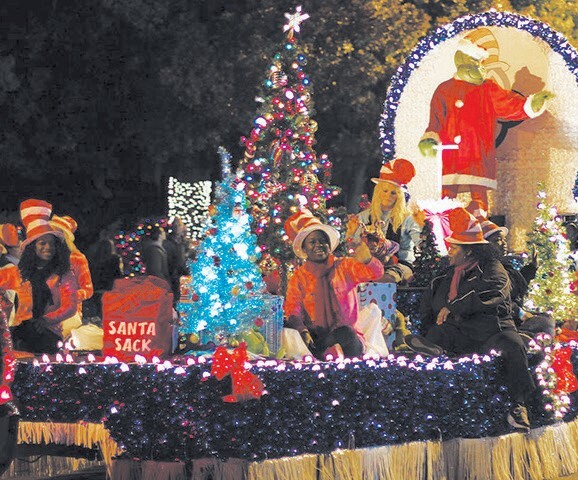 Santa will also help us kick off the holiday season with the Lighted Christmas Parade at 5:30PM Saturday, December 7th. Weekend festivities continue Saturday & Sunday with performances from the Abeni Cultural Arts, Rhythm in Motion / Maxine Patterson School of Dance, Marilyn Youmans School of Dance, Coastal Arts Performance Academy- The Grinch, the 3rd Infantry Division Band & Kelly and Company Studios. Two Little Birds and Danielle Hicks & the Resistance will provide the Saturday evening entertainment on the Rousakis Plaza Stage. Savannah Waterfront’s Christmas on the River and Lighted Christmas Parade are hosted by the Savannah Waterfront Association. For a detailed schedule of events and parade route information, visit riverstreetsavannah.com.